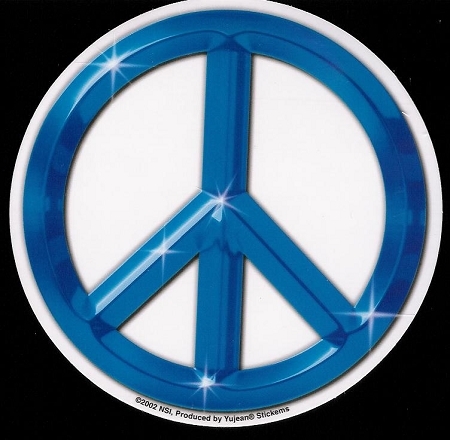 This mini blue peace sign sticker is approximately 2 1/2" round and has a clear background. It will look great on a car bumper or window. It's weather resistant and long lasting. You can also put this peace sticker anywhere you wish to spread the peace.